Interested in IPTV, Ireland? Here’s everything you need to know about IPTV SHOP services in Ireland! The average Irish adult watches 3 hours and 28 minutes of tv every day. Although it’s not the country that watches the most tv, that’s still a significant amount of time spent in front of the tube. And with cable, satellite, and the internet to choose from, there’s no shortage of places to get your tv entertainment. But have you heard of IPTV SHOP in Ireland? This relatively new alternative to cable and satellite works through the internet. It offers many benefits over traditional connections. Keep reading to find out exactly what those are and why you should consider this tv alternative. IPTV takes online streaming one step further. It stands for Internet Protocol Television. Using a broadband internet connection instead of a satellite, it brings television programming from around the world into your home. Why Choose IPTV SHOP in Ireland Over Satellite? Satellite tv requires the installation of a satellite dish. That dish has to be installed somewhere on your property in order to work. But not everybody is able to install a satellite dish on their property. This includes people whose homes can’t reach the satellite receiver. It’s also not compatible with people who live in apartment buildings. 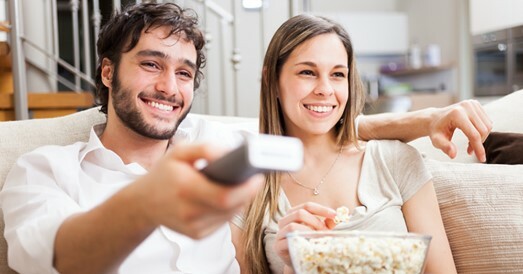 If you live in an apartment or in an area that doesn’t get satellite service, IPTV is a unique solution to your tv problems. If you can get high-speed internet, you can get IPTV. That’s because all IPTV requires is a connection of 4.0 Mbps or higher and a smart tv. To find out if you qualify, test your internet connection. For an accurate read, you should test it throughout the day and find out what your average connection speed is. In addition to being a great solution for people in apartments and high rises or those who can’t install a satellite dish on their property, IPTV is also higher quality than satellites. As a bonus, it’s also less expensive than those traditional services. What Can You Watch with IPTV SHOP in Ireland? A better question would be, what can’t you watch with IPTV SHOP? The possibilities are endless. IPTV SHOP offers direct access to over 6000 standard and HD tv channels. These channels span the globe and bring tv programming from 100’s of countries int your home. You also have access to over 4000 videos on demand channels. Whether you’re looking for sports, popular TV shows, movies, or international news, you’ll find it on IPTV SHOP. With new additions being made on a regular basis, there’s nothing you won’t find on IPTV. Your IPTV subscription also allows you to watch your IPTV on any of your devices. You can watch IPTV on different devices, but only 1 at a time. Just like the number of channels and movies, the benefits of IPTV SHOP are many. Once you sign up, your account is activated promptly. Within 6 hours of signing up, your account will be ready to go. Your subscription will activate as soon as you receive your activation emails. There are no fees for setting up IPTV. It’s also priced competitively in comparison to other similar services. Plus their subscription models offer a variety of different options depending on your needs and budget. Your payments can be made online through a 100% secure payment page encrypted with SSL. IPTV SHOP in Ireland accepts all credit and debit cards. They also convert your currency automatically and you won’t have any hidden fees. Using any of these devices, you can access the high-quality digital media streaming that’s been perfected by IPTV SHOP network engineers. And you can so from anywhere in the world. When you have problems with your IPTV, the support team offers knowledgeable and helpful technical support. Via e-mail, they’re available 24 hours a day, 7 days a week. And if you’re a traveler, you can take your IPTV receiver with you. Install it at your destination, and you can watch worldwide tv programming anywhere you go as long as there’s an internet connection. IPTV SHOP wants you to like their service. That’s why they offer a no-risk guarantee. Within 7 days of the start of your subscription, you can get your money back. No matter what the reason, IPTV will give a full refund on your subscription. And if you’re unsatisfied for a specific reason, they’ll try to fix it for you. Like any technology, you might run into some problems with your IPTV service. Below, we cover some of the most common issues. If you’re having an issue beyond this, you can contact the 24/7 support team or check the tutorials for additional information. The first thing you should do when you can’t access your account is check your internet. Restart your internet router as well as your IPTV device. Then try to connect again. If you’re still experiencing a problem, make sure your account isn’t being used on another device. And if the problem persists, call the technical team for help. There’s no problem they can’t solve. Sometimes, channels go down. IPTV SHOP headquarters try to fix this as soon as possible and restore service. But before you report a channel, try rebooting and swapping channels. If it’s happening on all channels, it could be a problem with your internet. Reboot your router and IPTV device. After 30 seconds, turn everything back on. You should also check that you’re connected via a LAN or Ethernet cable. The service can’t work through wifi. If the channel doesn’t come back, you can report to IPTV SHOP. Once they’re aware of the problem, they’ll do everything they can to bring it back up and running. You might have a channel pause while you’re watching. When this happens, you can select and open another channel. Then return to the channel after a few minutes and see if it’s working. You might also notice buffering in some channels. This generally happens due to slow internet service or a lot of traffic coming through at once. Ready to Access Worldwide Programming? IPTV SHOP in Ireland can bring 1000’s of tv programs, movies, and video on demand options into your home. The service is quick and easy to install. It’s also an incredibly affordable and high-quality alternative to cable and satellite. If you’re ready to access all the benefits that IPTV Ireland offers, check out our subscriptions and find one that’s right for you.